Aerial drone surveys are a new alternative for inspections. Whether it’s an on or off-shore wind farm inspection, solar panel survey, hydroelectric plant our aerial inspections are guaranteed to save time, money and human resources. It is the new way of collecting data for wind turbine blades. Using the latest aerial drone technology (The DGI Inspire 1 PRO UAV Drone) for our aerial video surveys and inspections, Balmore Media provide unrivalled UAV drone systems which can provide ultra-high definition video and 4K high resolution still imagery pinpointing any defects on the infrastructure of your mast or wind turbine. Our drones are fully accredited by the BMFAF. 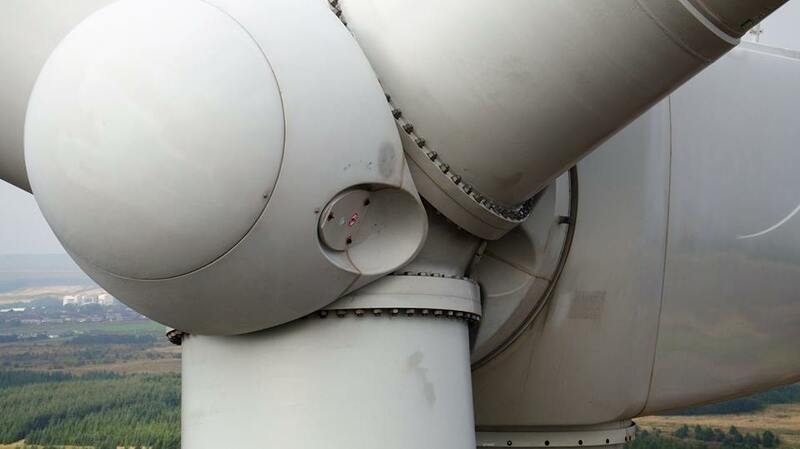 Our UAV systems can provide ultra-high definition video and high resolution still imagery pinpointing any defects on the infrastructure of your mast or wind turbine. This not only means problems are identified with increased accuracy, it also means that these defects are also easier to find and fix when it comes to carrying out repairs. 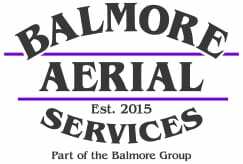 Mast/wind turbine inspections from Balmore Aerial Media are simply better than older traditional methods of inspection meaning that your choice of inspection service is made that much easier. 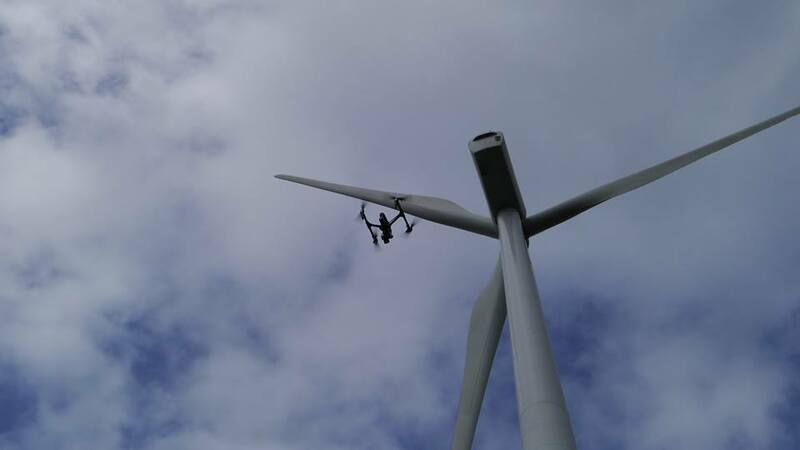 With aerial drone surveys, it means the days of having to climb up each wind turbine blade to inspect them for damage has gone. Using aerial drones reduces the time it takes to inspect while vastly reducing the risk to those having to climb up for inspections. Based on previous work – using drones for aerial inspections of your wind farm can cover an entire farm in the same amount of time that current inspections could carry out one third of the same number of turbines. 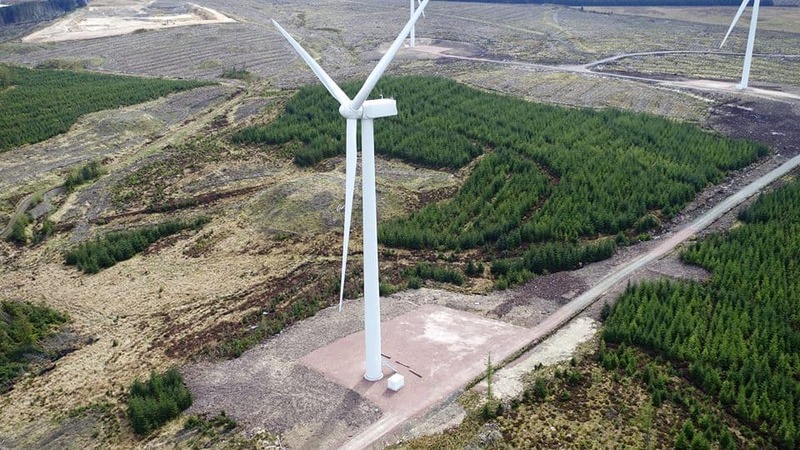 With aerial drone surveys of wind turbines, not only can it save time, but it can also capture 4K high resolution imagery from much more advantageous angles. Meaning that inspections and reports can be a lot more comprehensive and detailed. Using our rigid-inflatable boat squad (RIBS), we can transport our pilots, engineers & UAV’s to almost any location. Our aerial drone inspections are not limited to wind farms and their turbines but can also be used for inspections of Solar Panels. Why not call us today to find out more about our Renewable energy UAV surveys and inspections. Call our Glasgow head office on 0141 370 4037 today to discuss your drone requirements.